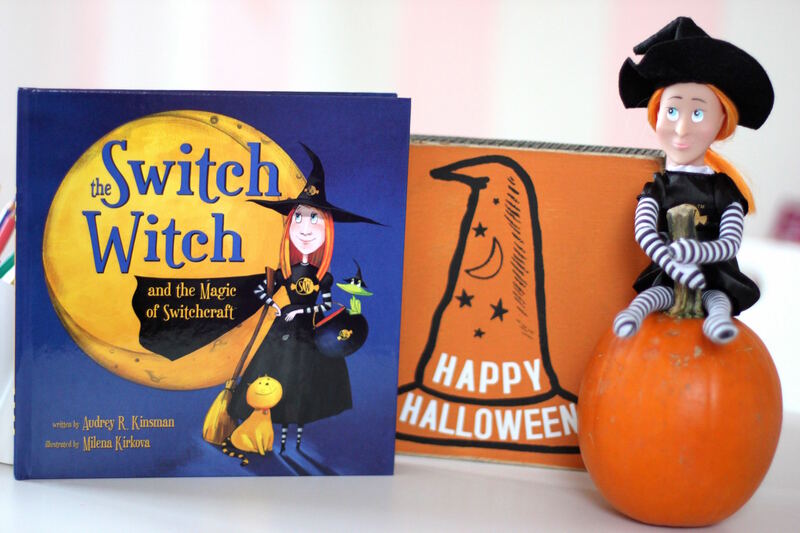 A HEALTHY NEW HALLOWEEN TRADITION – THE SWITCH WITCH! As much as we enjoy all the spookiness, playing dress up, the goodie-filled Halloween parties, and a night of trick-or-treating for candy, it’s easy to forget how much is too much sugar for kids! While the recommended intake is no more than about 3 teaspoons per day for children, the average kid may wolf down triple that on Halloween night! With hidden food dangers, sorting through and removing the loads of non allergy friendly candy leaves the holiday ending at a sour note with lots of crying and tantrums! So how do we limit our kids getting sugar high and getting rid of those candy buckets? Switch Witch got you covered! On Halloween night unwanted candy is “switchcrafted” for a special surpise! This interactive Fall activity had no rules.Customize this tradition for your family! The concept was developed by award winning author Audrey Kinsman. The idea came about when one of her own sons was trick-or-treating. After seeing his disappointment in knowing that he would not be able to eat most of the candy due to a food allergy, the idea of “Switchcrafting” the candy he was allergic to came to life. 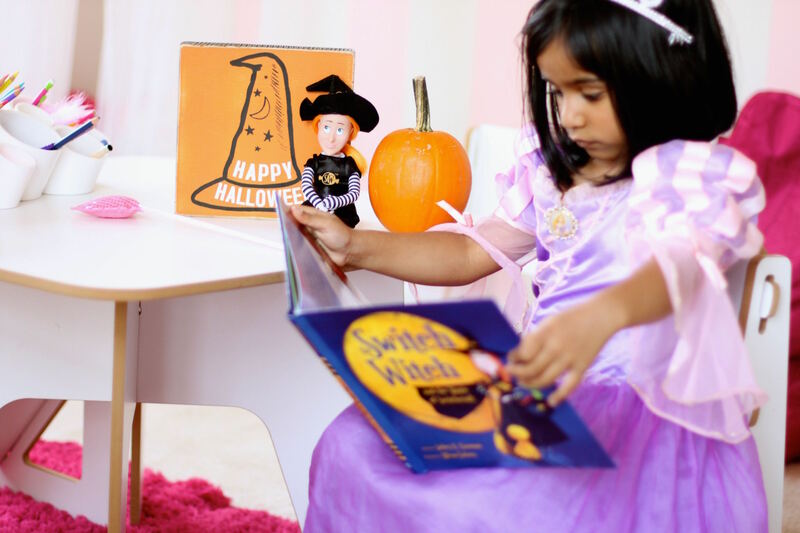 Partnered with The Teal Pumpkin Project, this toy/book combo set helps bring awareness to kids with allergies and help promote a better Halloween experience for all. Have some Fun: Have some Fun giving your Switch Witch a good name and deciding how your family will use her in your home. Discover : Discover the witchy world online at switchwitches.com by registering your witch, downloading the free app and finding recipes and craft ideas. Trade: Trade your candy for a special surprise after Trick or Treating Your Heart out on Halloween night! Set your unwanted Candy aside for your Switch Witch and see what she leaves you! Enjoy: Enjoy your Trade knowing your switch witches fuel the witchy world for another year! !